OK, so you’re feeling fed up. You want to be the best pet owner for your dog and you know that means providing plenty of exercise and stimulating activities each day. But let’s face it – that’s not the easiest thing to do during a winter like this one. The walking paths and trails are buried in snow, you’re up to your knees trying to walk through the park, and the sidewalks are becoming more and more difficult to distinguish from the snow banks. The roads are covered in salt and, honestly, your dog seems just as cold and miserable as you when you assume your winter warrior persona and head out to endure a barely bearable February stroll. Good news: You don’t have to do this! 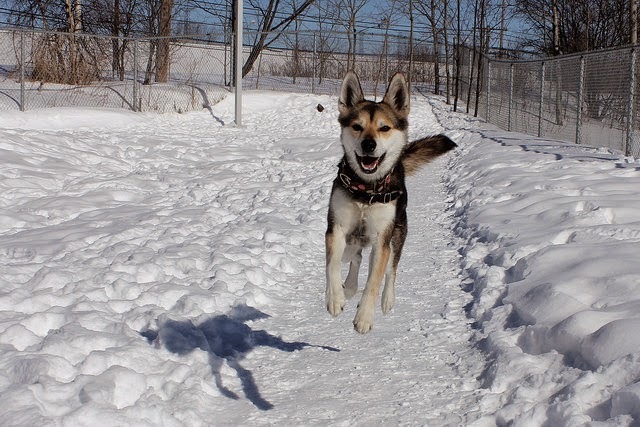 There are plenty of alternatives to simply walking the dog each day through the winter. If you’re looking to try something – anything – else, here are some ideas to help keep your pet happy and healthy until the sunshine and green grass return. Indoor games Many dogs can easily learn to play hide-and-seek with you. Games like this provide some indoor exercise, as well as mental stimulation and fun, for your pet and your family! New toys Stock up on toys that are interactive and stimulating for your pup. Tug toys, for example, will provide fun, exercise, and interaction. Stuffable toys that make your dog think and work to get to a treat are also great, but make sure you’re not overcompensating fewer walks with far more treats! Nose work Challenge Rover’s nose by hiding treats throughout the house for him to search for; create an obstacle course to be sniffed through to find his dinner; or create interactive challenges for your dog by hiding a treat under one of several covers, and praising him when he finds it. Outings. Next time you’re heading out to your local pet store or animal shelter, take your dog with you. He’ll be excited to get out of the house, see and sniff new people and animals, and show off some of his good manners and obedience training in hopes of coming home with a new toy or treat. Join a class Take your dog’s training to the next level by joining a new obedience or agility class. This will provide a regular outing for both you and your dog to look forward to each week, and give you new interactive tricks to practice together at home. Plan a FUN outdoor activity Find a scenic, pet-friendly location for snow shoeing, cross-country skiing, or winter hiking. Invite some friends along to make for an enjoyable group activity. Spice up “the walk” Alternate between walking and jogging with your dog every 10 minutes or so. 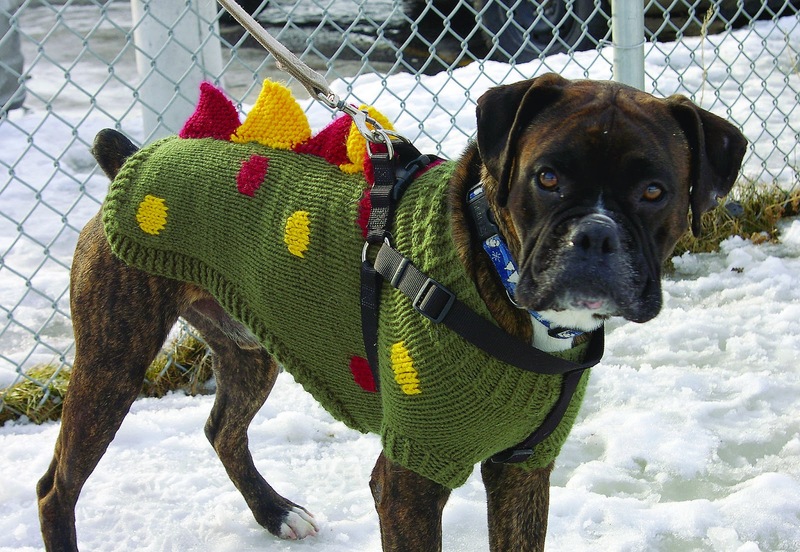 This will help keep things interesting for your pup, and it will help keep both of you feeling warmer while you’re out. Pausing the walk for snowball fetch is another exciting activity for your dog, and you don’t have to worry about favourite dog toys getting lost in the snow! Hopefully these suggestions will inspire some renewed enthusiasm for providing exercise and excitement for our dogs during the winter. Remember, the benefits of fresh air and exercise are many – for both you and your pet – so avoid giving up on dog walks altogether. Instead, try incorporating new activities so that you are not relying solely on bitter cold dog walks for providing both exercise and fun for your pet. New, alternative activities can be an excellent way to increase your pet’s training, socialization, and bond with you. Before you know it, you’ll be back to playing fetch in the park under the warm summer sun.